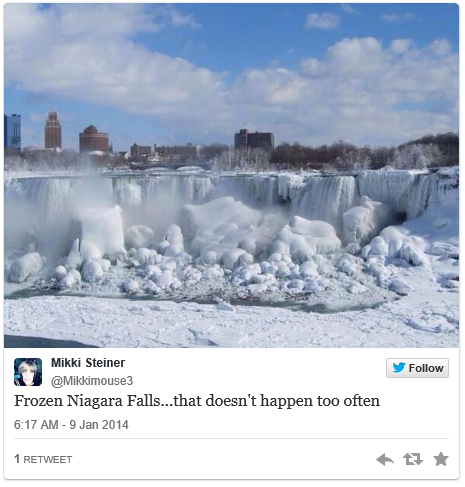 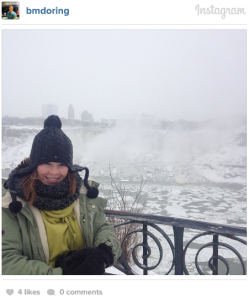 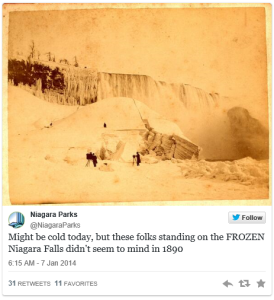 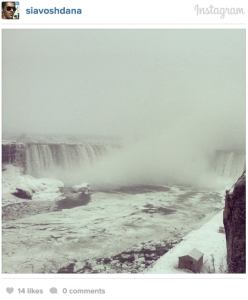 The Province reports, “The falls have frozen over. 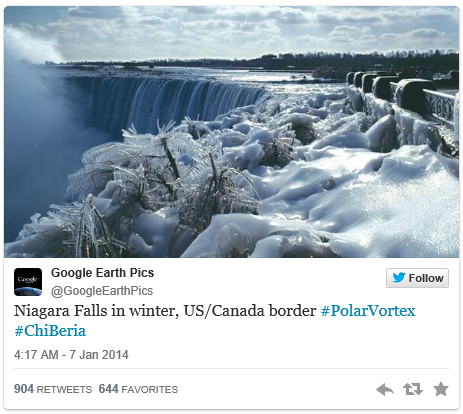 As the so-called “polar vortex” has sent temperatures plunging throughout most of North America in the past week, visitors to Niagara Falls in southern Ontario have been treated to a rare sight: chunks of ice clinging to the rocks where water usually rushes freely. 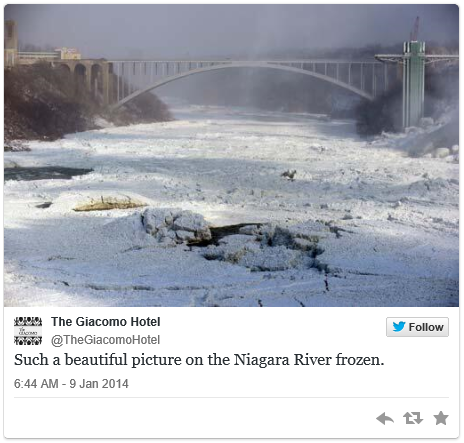 On the same day, an Instagram user posted this shot of the freezing river.